About Us | American Train Vacation | 817-696-1507 | America's Trains Inc. The Company’s business plan and operations evolved from and are based on a combination of unsurpassed railroad, timeshare, transportation and vacation industry capabilities, including but not limited to the following. Over 50 combined years of rail car management and operations. Owner, operator of regional passenger train services. Years of experience and knowledge regarding comprehensive train car repairs and rehabilitation, including Amtrak certification. Owner and manager of helicopter, commuter airline, and major commercial air cushion vehicle (36 passenger, 5 tons of cargo, military services) operations in Canada, the USA and elsewhere. Manager, developer and an owner of resort properties located in Mexico, Canada and the United States including properties of up to 10,000 acres and major timeshare developments. Owner and manager of the first international retail travel agency franchise that became the largest chain in North America with offices in the United States and Canada. Owner and management of the first cruise only retail travel agency franchise with offices in the United States and Canada. Created hundreds of wholesale, group, air, sea, land and other travel packages. 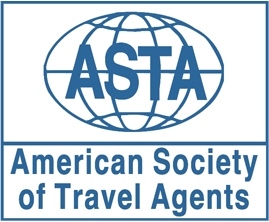 Managed annualized travel sales that grew to exceed $500 million per year (in current dollars). Producer of travel oriented television shows. Shareholder and ownership in cruise lines and of ships. Extensive success selling vacation ownership products including typical real estate, vacation club and cruise ship timeshare programs. Owner, management and sales of shared ownership luxury vacation programs and properties. Over 30 years of up-scale food and beverage, hotel and customer service management. Extensive guest reservation, support and related service experience.